Sine is a workforce SaaS platform growing fast globally with offices in Los Angeles, the Philippines and is headquartered Adelaide, South Australia. Sine makes it really easy to "check-in" visitors, contractors, deliveries, staff or anyone arriving at physical location, using their smart phone, an iPad or the web. Sine has been deployed to 1000's of customers around the world and is used at locations such as schools, government, sports stadia, offices, industrial, medical, retail, construction and commercial premises. Charter Hall, Dexus, Goodman, JLL, Cbus, Centuria, Stockland, Lendlease, CBRE, Colliers, Blackstone, DHL, Probuild, Coca-Cola and Vodafone all utilise Sine's platform to streamline the workplace experience. As a commercial real estate professional, you understand the challenges of remaining competitive and creating value in today’s business environment. To tackle these challenges, leaders in the industry have set a laser focus on creating greater value through deeper insights, process efficiencies, and new applications that help streamline their business. At Altus Group we are providing you with greater clarity and insight at every instance of the real estate life cycle. Our software, data and advisory services help you uncover the actionable insights needed to manage risk, inform your decision making, and ultimately drive performance so you maximize the value of your investment. Using the latest cloud and mobile technologies, Yardi offers a single stack solution that is cloud-based and device agnostic. Our integrated software supports our clients to improve their property data analysis, build and drive competitive offerings that enhance their reputation, create consumer loyalty, and easily increase the scale of their operations as required. Skyfii is a data and technology company pioneering analytics and engagement tools for high-volume foot traffic venues. 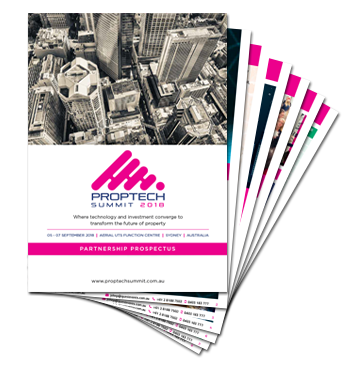 Since being founded in 2012, we’ve had the opportunity to partner with property leaders such as The GPT Group, Westfield, Mirvac, Versace and Nando’s. Now, over 4,000 venues across six continents rely on Skyfii to help them better understand and engage with their visitors, shoppers and occupants. We know just how busy property teams are, which is why we recently launched our data consultancy services and marketing services division; leveraging our expertise and unique data. These consulting services now give teams a full-service option for improving the experience of those who utilise their facilities.